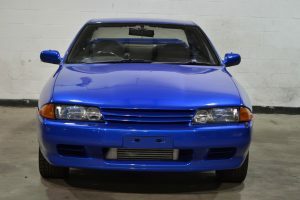 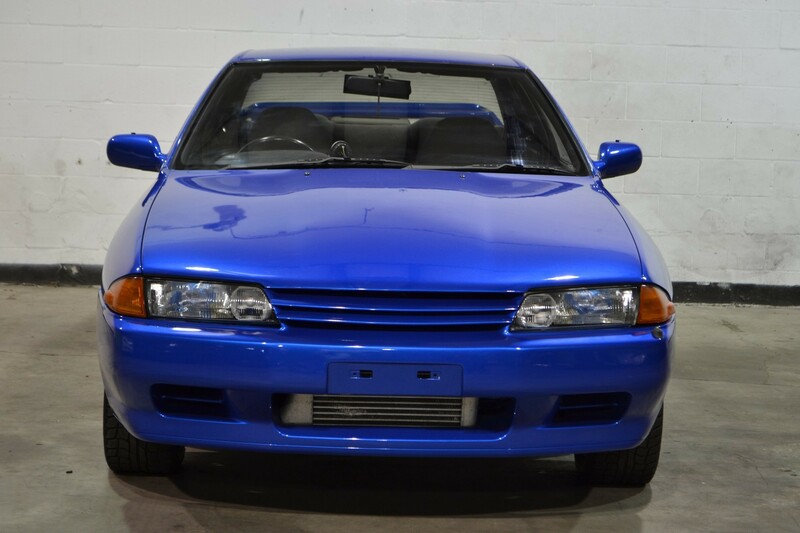 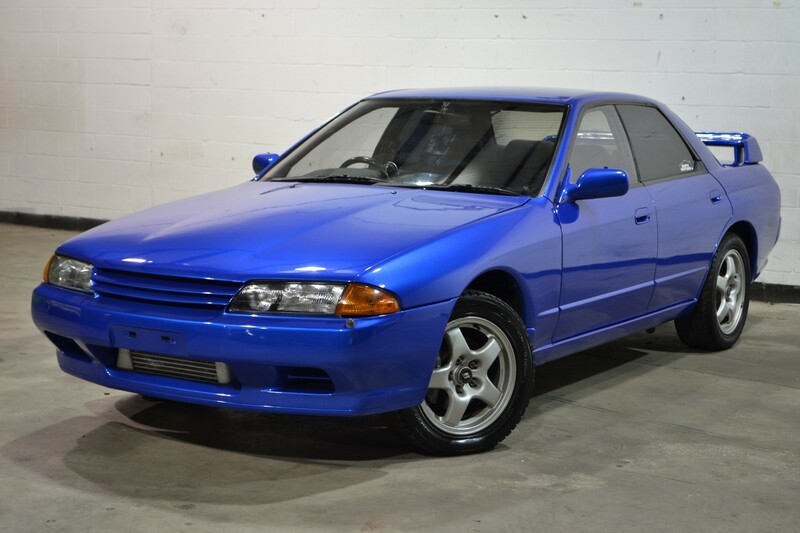 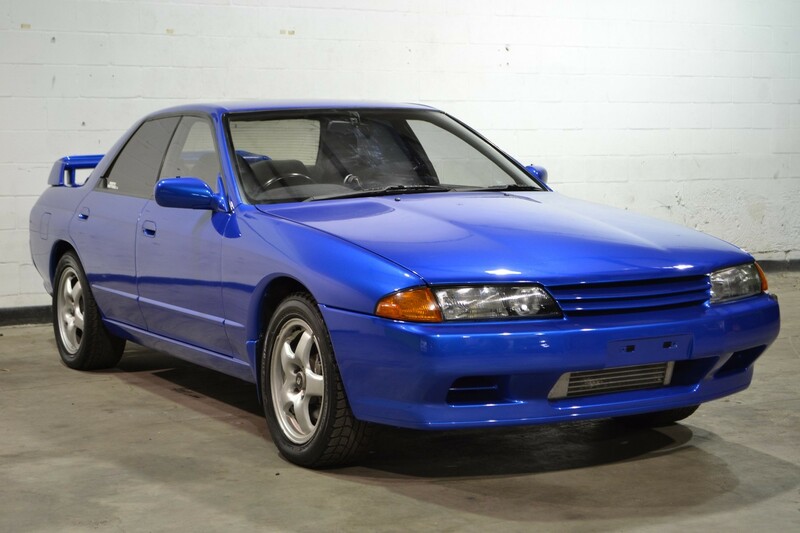 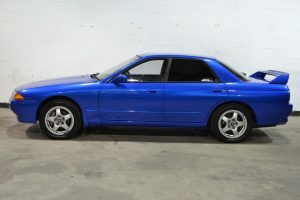 This Nissan Skyline GTS-4 is a 4-door Nissan Skyline that is powered by a turbo 2.0L inline 6 (RB20DET) and all wheel drivetrain similar to the Nissan Skyline GTR. 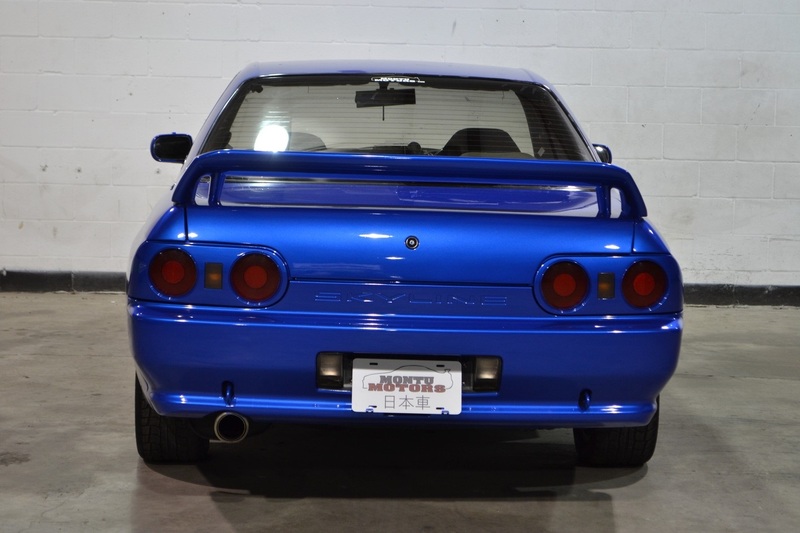 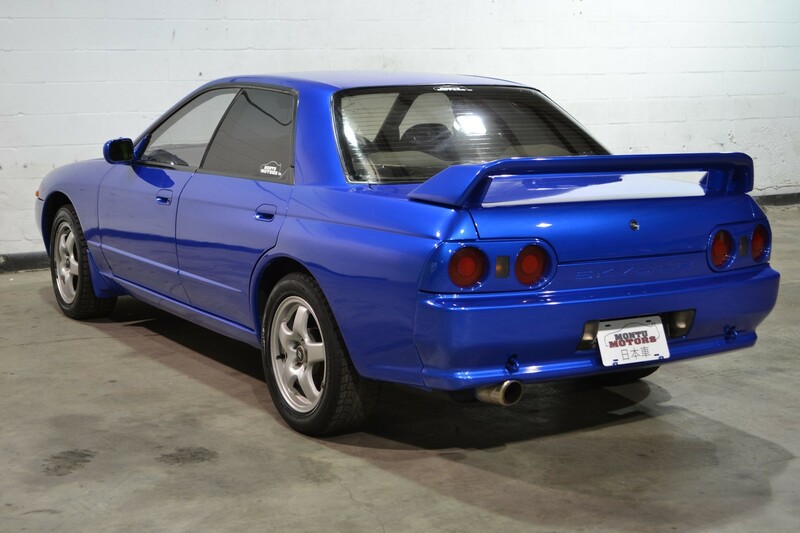 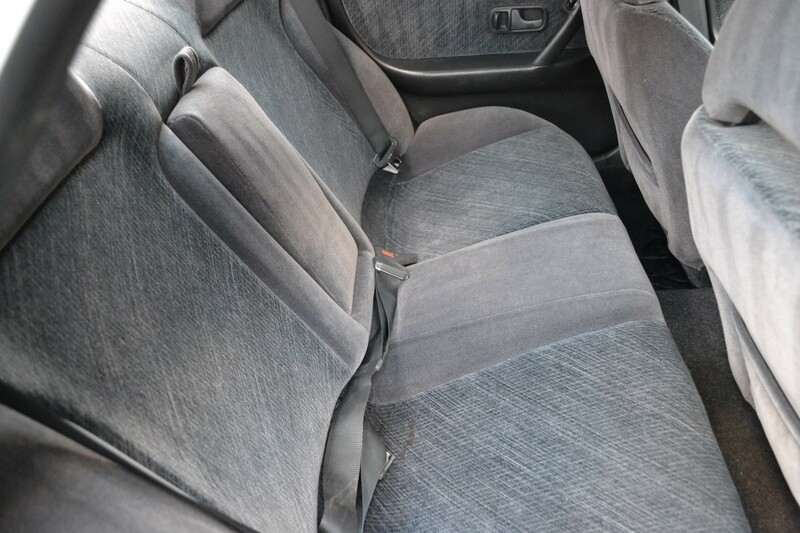 This car is Bayside Blue, which is a popular factory color that came on the R34 Skyline. 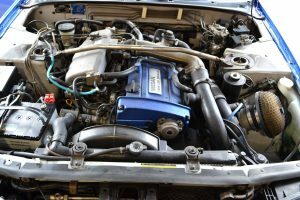 See below for a list of modifications. 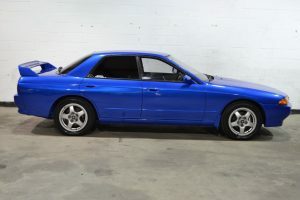 GTS-4’s are a great value. 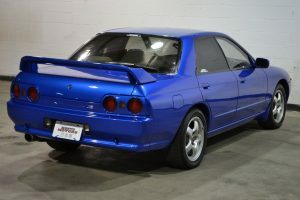 You get the AWD drivetrain similar to the Nissan Skyline GTR and (this specific model has) more power than the typical GTS-T Type M. If you are interested in a GTR but don’t have the budget, then this is the next best thing. 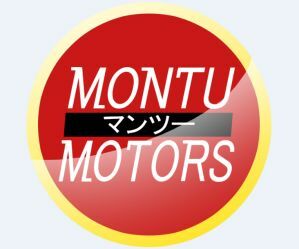 All you need is a Montu Motors Torque Controller (see our store) and you can manually switch between awd and rwd!! Based on the hugely popular R32 GT-R, the GTS-T offers a lot of performance for a more budget friendly price. 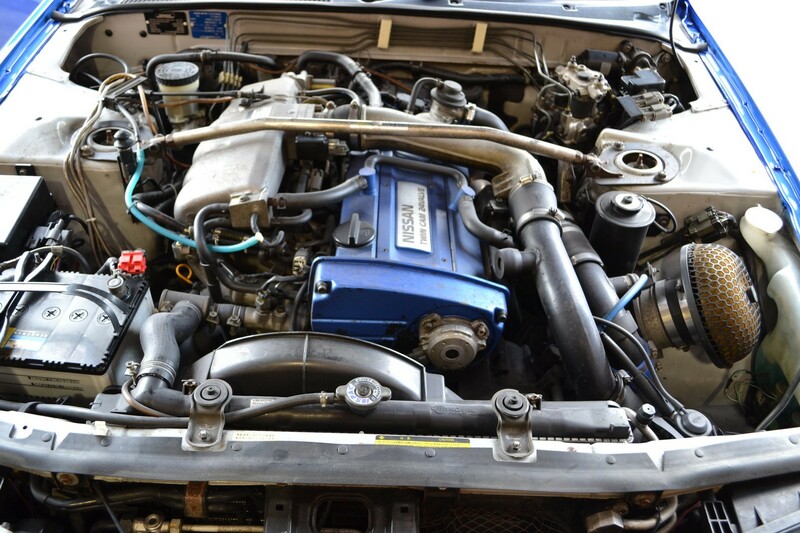 Utilizing the RB20DET inline-6, a 5-speed manual gearbox and RWD, the GTS-T provides the driver with an easily tuneable, tail-happy experience. 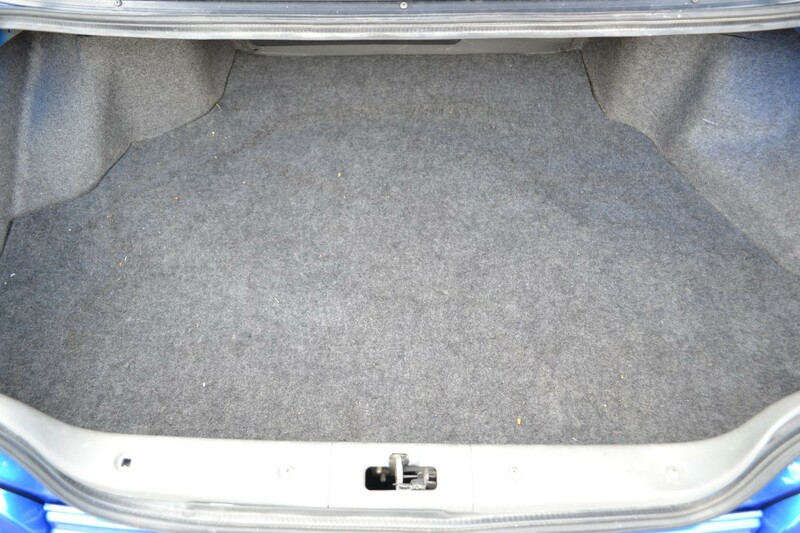 A Type-M was also offered with 16 inch wheels, viscous LSD, 4-piston front and twin piston rear brake calipers. 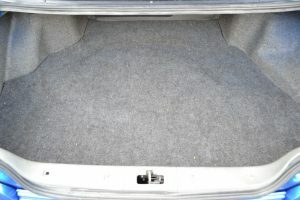 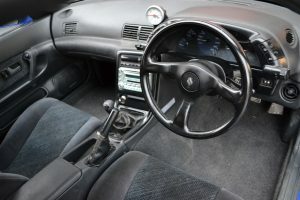 A 4WD version was also offered called the GTS-4.